Awarded Design and Preservation Award by the Sacramento Old City Association. Built in the late 1800’s to house a ground floor drug store and soda fountain with apartments above, this structure was in such disrepair by 1995 that the City declared it unsalvageable. When the building was ordered demolished, Mike Malinowski AIA stepped into the mix, acquiring the property in partners with local contractor and preservationist Bruce Booher. Malinowski tackled the financial analysis, design, approvals for code work and structural stabilization plan which preserved all the remaining historic fabric, even finding a way to stabilize the century old brick foundations. Bruce Booher was the on site contractor, applying a robust mix of sweat and experience to tackle a seemingly endless stream of decay and construction challenges. 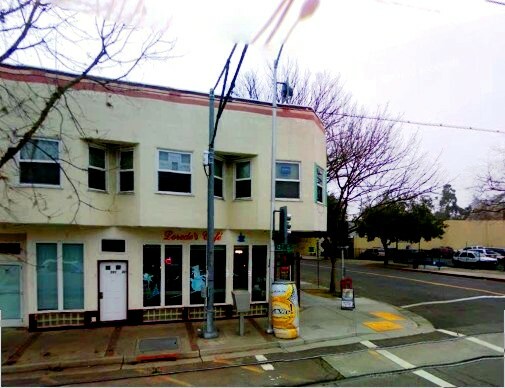 Malinowski and Booher were successful in securing a portion of the needed financing from the Sacramento Housing and Redevelopment Agency – the same entity that had initially hired consultants that found the building could not be saved. 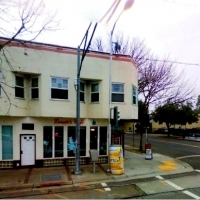 While construction was on going, Malinowski negotiated a lease with Sacramento Legal Services to make sure the project would ‘pencil’ – a tenancy which continues to this day. 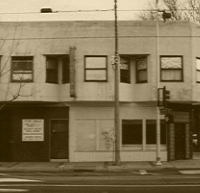 The corner space became a retail/restaurant spot – mirroring the original soda fountain in size – which has gone on to become the home of several successful small business start ups ranging from handcrafted pizzas to gourmet fruit pies that attracted national media attention. 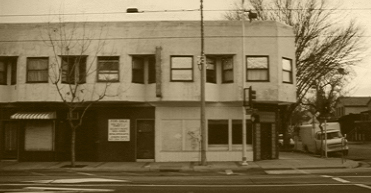 This Mixed use adaptive preservation project located on the key corridor in Sacramento’s oldest neighborhood – Alkali Flat – is a transit oriented historic adaptive reuse that was nominated by Sacramento’s citizens and awarded a Design and Preservation Award by the Sacramento Old City Association in 1999.